We Appreciate the Book Lovers of the World! EDC Creations, The Sankofa Literary Society and The Black Authors Network are proud to announce the launch of the 2011-2012 “Give the Gift of Knowledge Campaign,” bringing readers and authors together to help improve literacy. We encourage all readers to purchase books to give as gifts all year long. Each year thousands of people – educators, concerned parents, community leaders, authors, poets and publishers – devote their time and resources to presenting the reader with great books! However, too many outstanding books do not get the attention and reader support that they deserve. It is our mission to connect readers with these hidden gems and bring them books that will change their lives. Let’s “Give the Gift of Knowledge” and help to strengthen our future generations! We would like to honor the men and women who are the force behind the “Give the Gift of Knowledge Campaign.” The featured groups create the foundation of the literary world! They are the people who make bestsellers. Listed below are the bookclubs the SLS voted on as the Top Bookclubs of 2010 based on their community service and dedication to promoting quality literature! Click the image to view full screen and click the menu for more options to print or download. Enjoy! We are proud to announce our list of 2010 favorite bookclubs. The list below is compiled of book clubs that are serving their community and its authors by helping to increase literacy and the visibility of Black Books. You can read in-depth interviews with the bookclubs here. The words “book club” conjures up visions of middle-aged women gathering to gossip, discuss books and to chat about their ordinary lives over wine and cheese. However, this is far from the truth as organized, independent book clubs of all sorts have recently gained attention across the country. We now have a network of social clubs, youth groups, savings clubs and non-profits as members of The Sankofa Literary Society! Reading is a passion to be proud of and we have a wonderful selections of groups to prove it! If you would like for your group to be interviewed for the next issue of Black Pearls, email Ella Curry here. We are here to give these groups the recognition they deserve! These clubs have varied goals, but are definitely creating a impact in the publishing industry. The primary focus of this initiative is to advance African American literature and to increase awareness of their voice in the marketplace. Please join me in welcoming the readers, bookclubs and social networks that create bestsellers. View all of the featured bookclub interviews here. Download the keepsake magazine of the bookclubs here. Thank you all for supporting the authors who are living their dreams! Please share this list of awesome readers with your network too. If you are a bookclub on this list, please stop by and share with us your latest news, events and book-of-the-month. What are you reading now? Thank you for your interest in becoming a part of the EDC Creations book review team! I would love to add you on the roster as a reviewer. We do not pay our reviewers cash , but we will keep your reading supply up with new releases and will give Amazon Gift Certificates for the reviewers with the most printed reviews per month. I don’t require any contracts and you can start and stop at your leisure. However, if we don’t get written reviews back within a reasonable time, we will ask why. This is about unity, expanding our reading selections and just having fun! The only thing we want from you is to tell at least 10 people about a great book and a written review. You do not have to be a professional writer, just become a reader who wants to express their appreciation for books! Before becoming a reviewer I need to know these things. You can send your answers to the following email address: edc_dg@yahoo.com . 1. Full name, photo, email address, home mailing address and a cellphone number. 2. Favorite genre to read; least favorite genre; will you read ebooks and mass markets? 3. Do you have a Amazon account? Are you willing to provide written reviews? 4. How often, per month, will you be willing to participate? 5. Will you host authors on your blog, website, radio show or social network? 6. Your website or blog address; brief 50 word bio to give you credit for the reviews. We will send you books to review monthly. All that we ask is for you to submit the written reviews and answer our 5 questions in relation to the book. After approval of your written review, we ask that you post the reviews to our blog and/or Amazon. Once we mail you the books, we would like a review back within 15 days. If you will email me your home address, we will start sending you books and galleys. The questions will be sent to you via email. You will receive an entire review packet once you agree to come on board as an official EDC Creations Reviewer. As a EDC Creations Reviewer, we would love to have you come on the BAN radio show and the conference calls to tell us about your book and any good books that you have read. Our goal is to always introduce our readers to the next great read. Authors, you are welcome to become reviewers too! Tell your network about the books, as well as direct others to where they can buy the book. EDC Creations has a bookstore and most books will be carried for the readers. The Black Pearls Reading Room will also host most of the books. 4. Will you host authors on your blog, website, radio show or social network? Feel free to share this post with as many avid readers as you can. We need people to host our blog tours, review our books and to join in the Give the Gift of Knowledge Campaign! These are the books I personally read during 2010 for our Sankofa Literary Society (SLS) reading challenge. I read a total of 115 books for the year and this is my list of the best books from that group. The books were submitted for review by the author, publisher or given to me as gifts. Each of the books on this list are considered 4-5 star reads. They are NOT listed in order by ranking. Each title below will enrich the lives of the new owners! I hope you will take the time to explore this list and to email this to at least 20 others, so that you too can Give the Gift of Knowledge! The books below will make great gifts all year long! View all of our Best Books Recommended Reading Lists here: http://edcmagazine.blogspot.com/. Please follow our blog for more exciting news on the authors and the books coming out in 2011. Authors, if you see your book listed, please leave a comment with your website address, bookseller links and any news about you and your books! Ask your network to stop by and share their reviews of your books too. Make sure you tell your fellow author friends if you see their names listed below. If your name is listed below, you can copy the award image to your computer and add to your website as well as your promotional material. I would like to interview ALL of the authors on this list for Black Pearls Magazine and for the Black Authors Network Radio Show. Email me at: edc_dg@yahoo.com to setup the interviews. The Sankofa Literary Society and its founder Ella Curry are focused on the issues and lifestyles that define today’s avid readers — what they read, what they want out of their literature, how they connect to each other, what motivates them and how they feel about their community as a whole. Many have stated, “There is no African American village…it’s dead,” we don’t feel that way. The Village is here, the village in now! Expand your horizons! We are a community of 11 bookclub units, 4 social networks and 22 nurses who want to enrich our community with books and the written word. Listed below are the books we have read in 2010 presented by small press publishers, traditional publishers and self-published authors. Join us today to add your voice and experiences to our union. Come on in and join this movement to Give the Gift of Knowledge! Authors, if you see your book listed, please leave a comment with your website address, bookseller links and any news about you and your books! Ask your network to stop by and share their reviews of your books too. Make sure you tell your fellow author friends if you see their names listed below. If your name is listed below, you can copy the award image to your computer and add to your website as well as your promotional material. While highlighting our heritage, our experiences and delivering our voice–we remain anchored to the spiritual, emotional and practical realities of our entire global community, supporting all races. We are not limited solely to reading just African American (AA) authors; we hope to educate our readers by offering a variety of quality literature and resources. We are offering you the best in literature period, from our perspective. Spread the word…please share this listing with at least 20 people you know! The books below will make excellent gifts all year long. Listed below are a few of the best books representing the literary world and the arts. 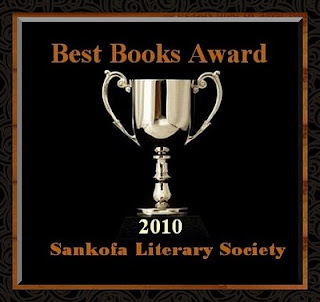 Each book created an impact for our readers/reviewers and the Sankofa Literary Society network. Our literary hallmarks indicate excellence in writing. Here are the books we want to showcase to the world. Please take your time and expand your reading territory by saluting the literary greats and leaders listed below. The books are NOT listed in any order pertaining to the quality of the literature—they are all 4-5 star reads. The number beside the title, does not indicate the ranking of this list. I would like to interview ALL of the authors on this list for Black Pearls Magazine and for the Black Authors Network Radio Show. Email me at: edc_dg@yahoo.com to setup the interviews. 1. Before I Forget by Leonard Pitts Jr.